Upscale and established, Cherry Hills Village is beloved for its pastoral atmosphere and significant estates situated on sizable, well-maintained lots. Country quiet yet city close, Cherry Hills Village is home to fewer than 6000 residents. 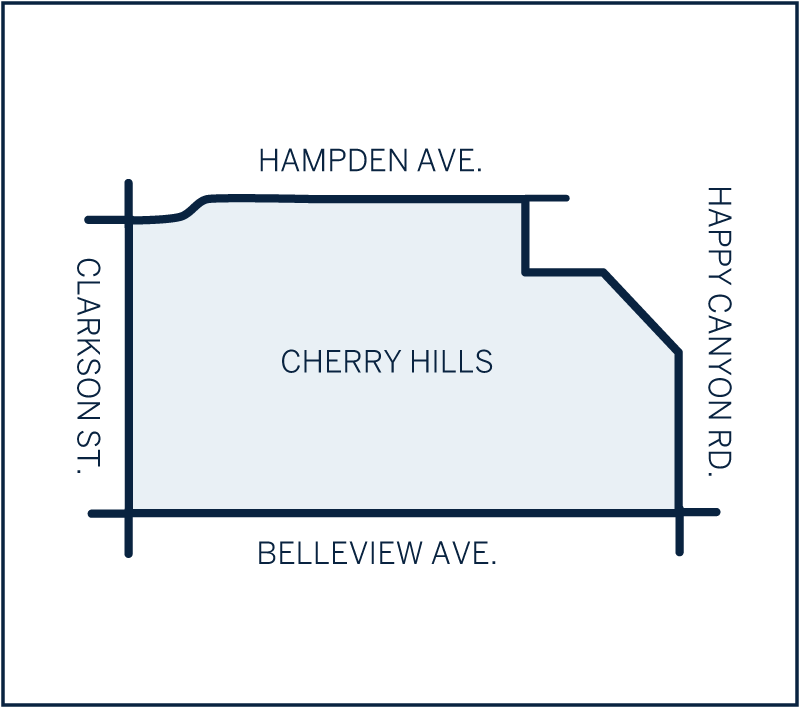 Distinguished by its own mayor and city council, as well as top rated fire and police departments, Cherry Hills Village was incorporated in 1945 and soon established itself as Denver’s most affluent neighborhood. Six square miles platted into ¼ acre sites, to 5-acre horse properties provide a serene oasis for buyers. This is met by a diverse architecture, including farm houses, ranch style homes, and elegant estate properties all ranging in value from roughly $700,000 to over $7 million. The Highline Canal and Cherry Hills Village trail system affords residents miles of unobstructed trails for walking, running, biking and horseback riding. Other recreational points of interest include two private golf clubs and two private swim and tennis clubs. Mountain views, trails, parks, and nationally acclaimed public and private schools all contribute to the desirable lifestyle Cherry Hills Village residents enjoy.